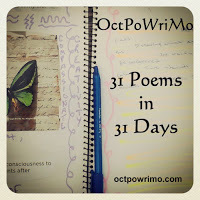 Day 9 of #OctPoWriMo brought a prompt that really made me think. For today I was challenged to write about why I write. Why do I continue creating poetry (or short stories, or any sort of writing). Why? Read the poem. It answers the question. Please enjoy. on a sea of questions. And I can relate to this! This poem describes how insecure and self-critical I was towards all of my creative endeavors as a younger person. And it's sad. It took the joy out of being an artist, and I abandoned it. But I'm coming back and it feels much more light and joyful. Thanks! I'm so happy you're coming back! There can never be enough words to share. Keep strong, fellow poet. Keep strong!! This is a very moving love story---you and your words are healed and are in their natural habitat once more. ^_^ Good writing! Thank you so very much! It feels so good to be writing on a consistent basis again!